HeartString Stories: Meet some of the beautiful pets we have made HeartStrings for. Hover over image to read about pet. He was magical! 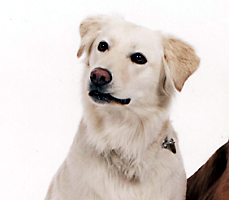 Sterling’s registered name was "Vernon’s End of the Rainbow". He was one of the inspirations for Rainbow’s HeartStrings! When we lost him I wanted a happy, bright way to memorialize his life! When I see the wind spinner flashing light and a rainbow of colors around my yard and I see his dog tag blowing in the wind it reminds me of his fun spirit. He was my pot of gold at the end of the rainbow! He is not really gone... he will be forever in my heart! A "pound" dog, scheduled to be euthanized the day after Christmas because he was a "fear biter". His new owner went to bat for him at the pound; he never bit anyone, and was one gentle loving soul his whole life. Relinquished to the Maxfund Animal Shelter at the age of 10, she had spent her life chained outside. Due to cancer, she only got one year in her new forever home, but she will tell you from the Rainbow Bridge that it was the best year of her life. Your HeartStrings bring me joy and Light everyday. I know it will help heal hearts everywhere 😉 Meant to send this and wanted to ask if you and Colleen wanted testimonial pics & stories for the website. This is one of my favorites, Coop watching over Zoe and her recent surgery. He was rescued from a Humane Society in Omaha the day after Christmas 2002. I picked him out of the kitties there because his eye color matched the color in his brown stripes. Jackson went missing one day in August of 2009. I found his collar in our bushes when I got home from work. I'm holding out hope that he's in someone’s house and that they don’t know where he belongs without his collar and tag. I hung a HeartString outside my kitchen window in remembrance of his spirit in our home and as a reminder to keep him in my heart... until he shows back up one day! 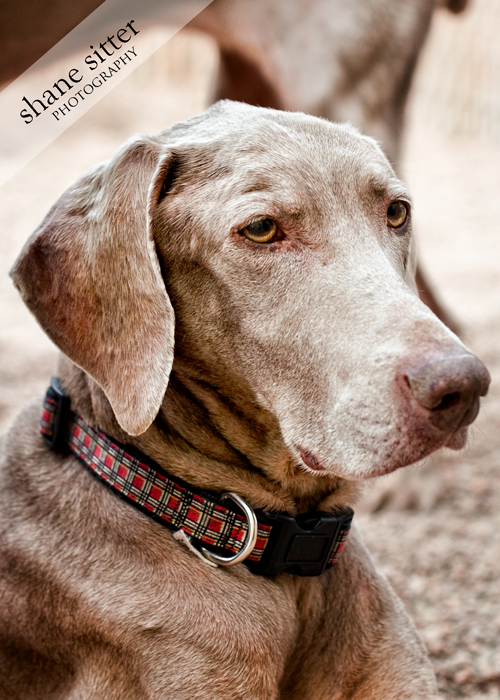 Adopted through Mile High Weimaraner Rescue in 2005. One year after we adopted her she had a stroke and we were not sure if she would make it or ever walk again. She was determined though and within 2 months had full mobility, not quite as graceful but could get where she wanted to go! She walked into our lives and stole our heart away! A neighborhood stray. No one claimed her and she was probably just "dumped in the suburbs" but found her forever home with Clipper and his forever family. First dog for new pet owners. He was part mutt and all love. Taught his new pet owners about the unconditional love a dog gives to humans. Arrived at the Maxfund Animal Shelter with 9 puppies. A youngster herself, she found her forever home with Clipper’s family and lived her life true to her name with pure joy. Would you like your HeartString Story included on this page? Please email us a picture and a few lines about your pet!